Ships today if you order in the next 5 hours 45 minutes. 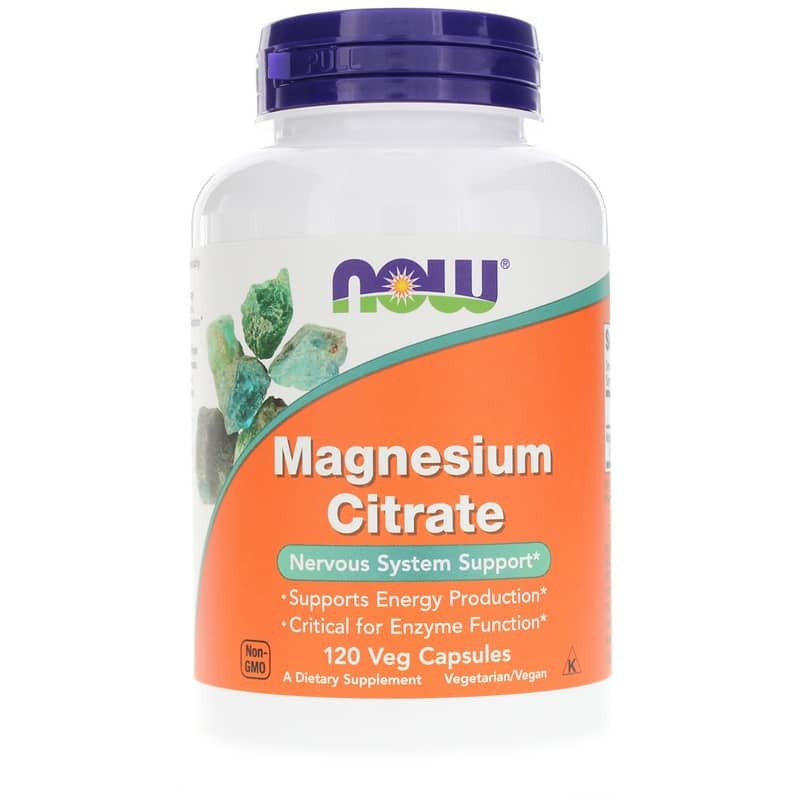 Magnesium Citrate from NOW is a mineral that provides support for the nervous system. Magnesium is critical for energy production and metabolism, muscle contraction, nerve impulse transmission, and bone mineralization. 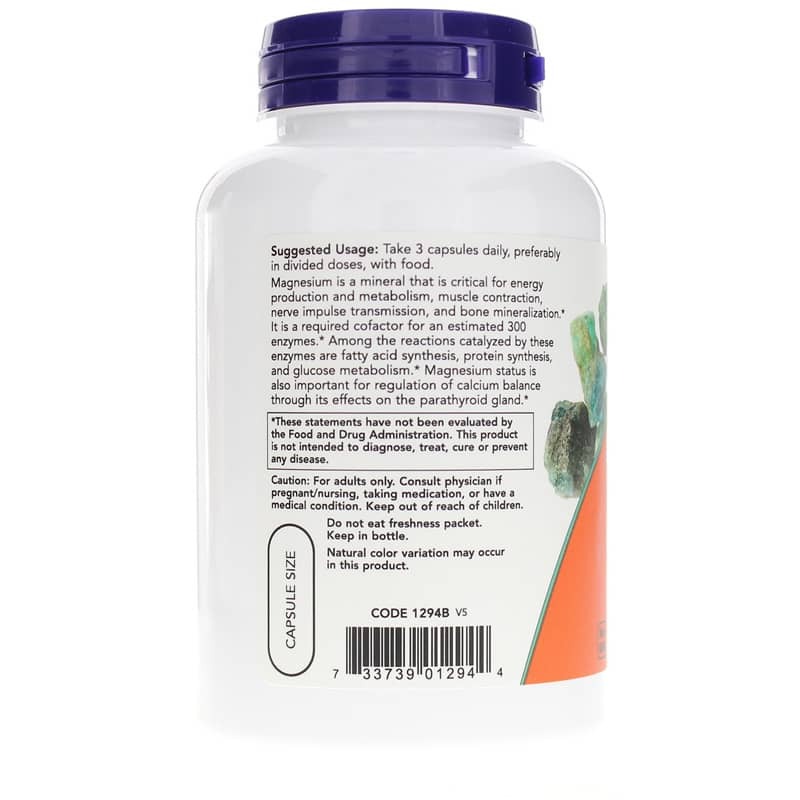 Magnesium is a required cofactor for an estimated 300 enzymes. Among the reactions catalyzed by these enzymes are fatty acid synthesis, protein synthesis, and glucose metabolism. Magnesium status is also important for regulation of calcium balance through its effects on the parathyroid gland. Not manufactured with: wheat, gluten, soy, milk, egg, fish, shellfish or tree nut ingredients. Kosher. Vegetarian/Vegan. Non-GMO. Adults: Take 3 capsules daily, preferably in divided doses with food. I couldn't find any local store the 500 mg Magnesium Citrate and the only places I found only, they were more expensive and not so much good quality. I'm glad I found this place and purchased the MC 500mg at a great price for good quality. 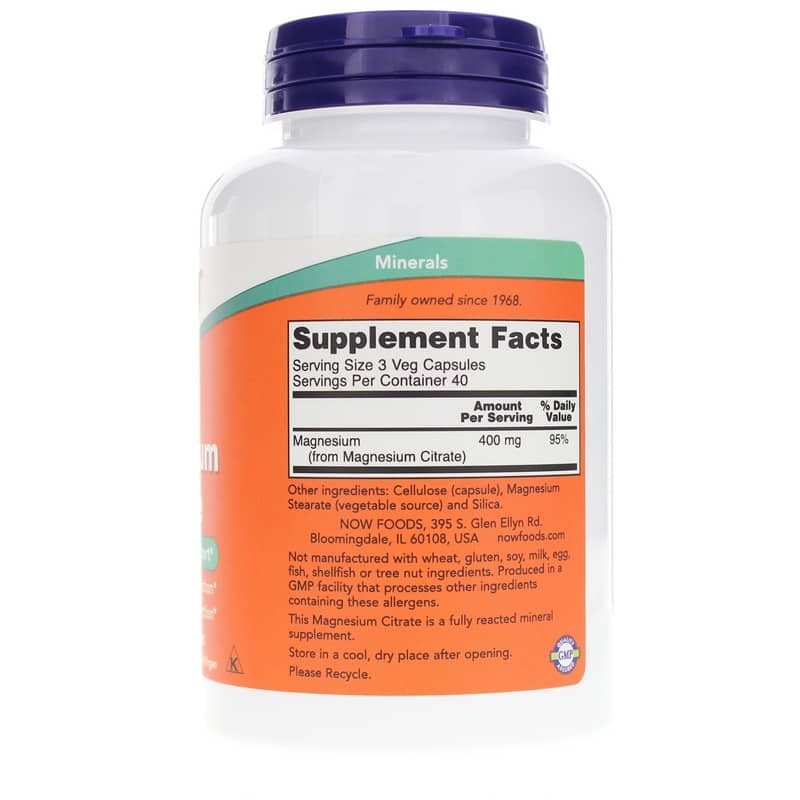 Very good Magnesium supplement, I can't drink that liquid magnesium, this absorbs well, does it's job and no side effects other than a soft stool. The contact was really good and the personal written thank you on the order made me happy, there are real people behind the internet....Due to my overseas order, the delivery takes quite a long period to arrive and is a large amount of the bill. This time I was unlucky because I had to pay import tax, 17 euro's (don't write on the box what's in there). All this makes it less attractive to order in the US. Service was good. Easy to tolerate - It works great. Just started using this product and haven't yet notice any difference.